It has caught my attention over the years at SNU seeing the struggle of attending church on Sunday mornings. I use the phrasing of “struggle” to signify how students often express their shortcoming in missing a worship service on a particular morning, which seems to show either a sense of guilt or rationalization within them. Let me say straightforwardly that I do not intend to in any way condemn those who may relate to this topic, but I wish to shed light on this trend that seems to keep itself hidden and provide insight on the interrelationship between faith and fellowship. Obviously for many in our world today, the act of Christian fellowship and worship is outlawed and a crime punishable by death, but Brian is explaining the great importance of our communal nature: “We all need the love and support of a Christian community, and we fail to receive that love and support when we choose to live apart from other believers.” Many of us have heard this truth and do not disclaim it, yet we still too often view our walk with Christ as individualistic. I also interviewed Robby Patton, youth pastor at Lake Overholser Church of the Nazarene, and he also noted some of the reasons of this “struggle”: “[Believers] are not necessarily adverse to going to church, but they don’t see value in it [if] they don’t benefit from the relationships… The other sad truth is that a lot of people have been hurt by the church and it’s hard to want to go somewhere you’ve been hurt, especially when it’s completely optional.” According to Robby, it seems that a great deal of the dependency of the commitment to going to church regularly relies on how it serves the subject personally, which makes clear sense when talking about a church option that both is optional and presents spiritual challenges. The good news, however, is that church does not have to be an uncomfortable space. For Robby, he finds that at church he is “encouraged… I see good in people. I see hope.” Though the church is not perfect, it is my opinion that the church strives to help others feel this same way. Again, I recognize that I am, to use a relevant analogy, “preaching to the choir” in discussing the importance of fellowship. I do hope that we see as a campus, however, the opportunity we have to not only take advantage of the support of those around us but also in shaping our faith by getting involved at a church while we attend an institution with identical values. 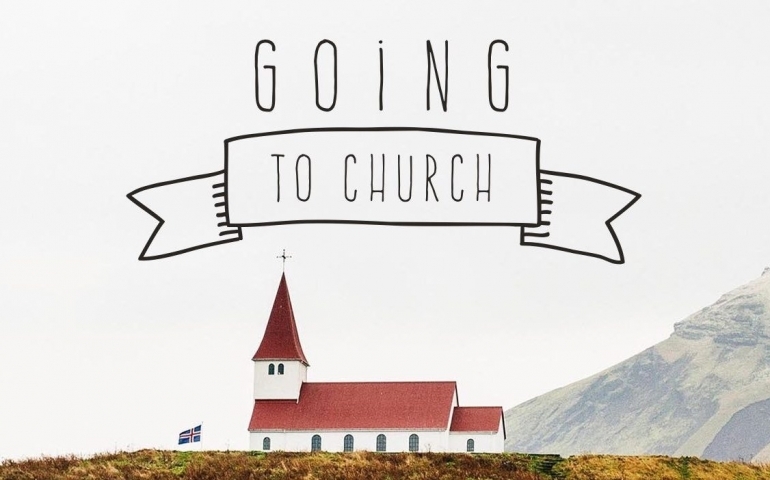 Yes, it is very easy for us to find reasons to not go to church, whether they deal with homework, lack of sleep or the contentment of the school’s chapel services. But I hope we do not miss the hidden benefits of getting involved in our local ministries. We are so blessed to have the freedom to worship communally, and I fear that we too often take this blessing for granted. Allen Dunlap, Assistant Editor Allen is a senior majoring in Theology and Ministry. Prior to joining the ECHO, Allen worked on campus as a writing tutor. Upon graduation, he aspires to continue following his call to ministry by furthering his education. Above anything else, he desires to continue seeking for an intimate relationship with God and to lovingly minister to others in a way that they might do the same.